This is where it had all started. The Apple event keynote delivered by Steve Jobs back in 2007 had revolutionalized the world of mobile phones, and had begun the actual competition in the smartphone world. 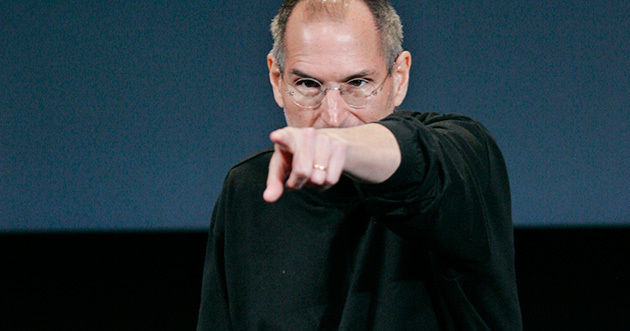 Steve Jobs was the man who one would have always loved to hear, even though they might not be an Apple fan. Built with the revolutionary user interface, the first Apple iPhone was launched in 2007. The second anniversary of the death of Steve Jobs was talked about a lot, and why not, the life and death, both have changed the lives of thousands of people around the world. Steve Jobs was an inspiration to a uncountable number of people around the world for the classic stuff he came up with always. Earlier to the iPhone, Apple had already had a few generations of the iPod and the Mac, and the entry of the iPhone into the smartphone world changes things, and that actually gave Google an idea of how the smartphone functionality has to be, and later came the Android OS. So, this was where it had stated. iPhone Keynote 2007, when Jobs introduced the iPhone! Check out the video below and enjoy every moment of it, you will surely be inspired. Check out some of the Steve Jobs facts which you didn’t know. Steve Jobs had passed away two years back, due to Pancreatic Cancer and here were a few words I shared about him back then! Since the death of Jobs, it was Tim Cook who was selected as the next CEO of Apple, and who although hasn’t done a bad job anyway, still doesn’t hold the charm that Steve Jobs held for years, or decades since 1984 when the Macintosh PC was made by him.